Ladies and gentleman, this is the movie that was playing on my best friend’s VCR the first time I ever got well and truly DRUNK! His parents had left town for some quiet time (a dirty weekend), so we all descended upon their house, carrying industrial-size bottles of cheap cider and a few horror movies on VHS. I don’t remember many details, but I do remember shouting “This is awesome!” at some point, so there you go. Watch Leprechaun while intoxicated and you’ll have a great time! Guillermo del Toro’s feature film debut is a unique and very different look at the curse of vampirism, and all the unavoidable problems that come with the pursuit of eternal life. Del Toro is the master of blending gentle fairytale moments with dark disturbing horror, and that is VERY evident throughout Cronos. I watched this for the first time YEARS after it was released, but it was definitely worth the wait, and I would thoroughly recommend it to anyone who can handle a slower pace with more intensity. Army of Darkness is a noticeably different experience when compared to the first two Evil Dead movies. It’s more mainstream, more accessible – but I believe that’s ultimately been a good thing. Ash became the fully developed character we all know and love today, and his journey would eventually continue in the pages of comic books before making a triumphant return on the small screen recently. 1993 was mostly barren, but Army of Darkness reminded me of better times and exciting years gone by. Don’t blame me! If 1993 had made an effort to produce some good new horror I wouldn’t have had to include more personal Voorhees nostalgia! I respect everyone involved for at least trying something different with this, and there are a few interesting moments and ideas floating about from time to time, but Jason Goes to Hell proved my favorite slasher franchise was ready for a swift mercy killing. Of course they revived it all several years later by sending the big man into space, but Jason X never felt connected to the rest of the series imo. THIS was the moment the journey ended for Jason, and because of that I’ll always love it a teeny-tiny bit. Right, let’s now take a detour over to the world of animation, as we salute The Halloween Tree. 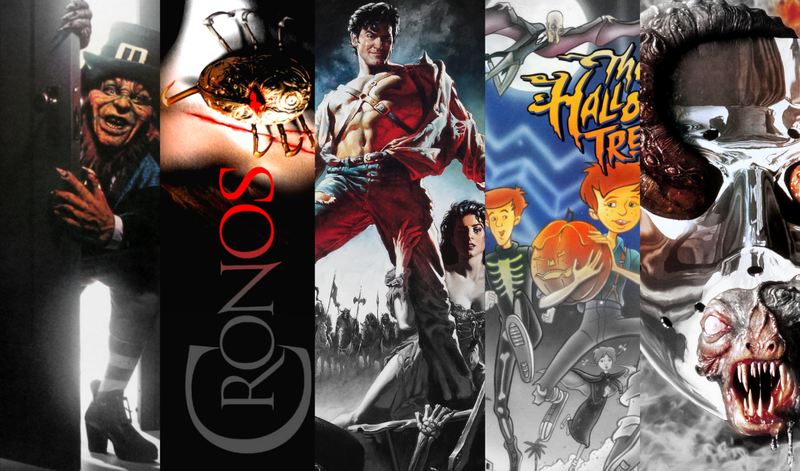 A respectful, magical and intelligent journey into the history of the Halloween season. This Emmy Award-winning feature-length cartoon is based on Ray Bradbury’s book of the same name, and Bradbury himself provides voice narration during the story. The late, great Leonard Nimoy can also be heard as the voice of Mr. Moundshroud. This is a MUST watch every October, and this year I’ll be once again enjoying it with my own children by my side.